Unfortunately, it is not uncommon for a parent, who is expected to pay a court-ordered child support, to not do so. Fortunately, however, there are laws in New York State in place to track such child support cases, and the penalties can range from jail time to freezing bank accounts to driver’s license suspension. In fact, both the state and federal government feel so strongly about enforcing court-ordered child support that they go after the wrongdoer in a multitude of aspects of their personal life. For example, some states actually post a picture of these parents on the Internet, along with their name, and the amount they owe in back child support. In accordance with the New York’s Division of Child Support Enforcement, a non-custodial spouse who owes child support will be sent a notice, which thoroughly explains the child support procedure, as well as a detailed time plan for paying and everything else they need to do. Sometimes, the state will intervene with a punishment, depending on the amount owed, as well as how long they have been avoiding paying the court-ordered child support. Some of these punishments are income-cutting, cutting off unemployment, suspension of a driver’s license, and even passport rejection. More often than not, these punishments will provoke them to make the payments, but this sometimes isn’t enough, and so jail time may have to be considered after exhausting all the other options. Although a parent cannot just shrug off past owed child support by declaring themselves bankrupt, it is also hard to punish a parent who fiscally can’t afford to pay what has accumulated. If this is the case, this parent must fill out a request for a modification of child support, which the court will take into consideration as they review their financial situation. 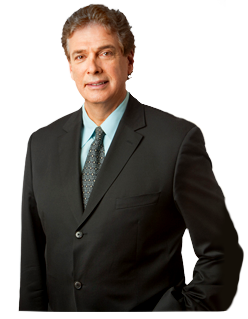 To get legal assistance regarding child custody and support matters, contact Paul E Rudder, Esq. today! Call (212) 826-9900 to schedule a consultation.